My task at the Music and Worship Conference over the past several years has been to read popular art and rituals alongside the theology and practice of Christian worship. 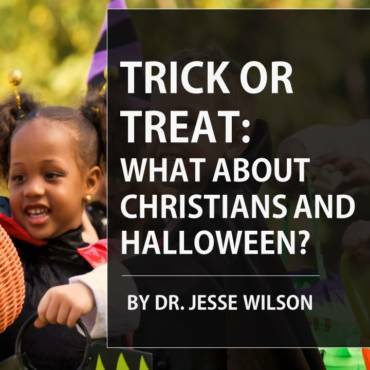 In this presentation, I will explore how the conversation about race in America has been shaped recently by popular culture and what that might say about race and worship in the Adventist church. First, by drawing on the vernacular of “wokeness” and the tenets of Afrofuturism, I will reflect on black consciousness and the black imagination. I will highlight how these are manifested in the blockbuster movie Black Panther and how they intersect with the liberating and healing potentials of black worship. Second, I will turn to the largely unconscious mode of the white racial frame and the colonizing nature of the white imagination, as illustrated in the satirical blog Barbie Savior. I will offer a critique of white evangelical worship, proposing that predominantly white Adventist churches recapture worship as a mode of social consciousness and prophetic imagination. Finally, from my own standpoint as a white male, I will offer some practical suggestions as to how Adventist worship leaders can challenge the white racial frame and create spaces where a racially just future can emerge. In my seminary course on faith and popular culture, I show students a slightly overexposed black-and-white image and ask them, “What do you see?” This elicits a variety of responses. “What if I told you the title of the picture is ‘Renshaw’s Cow’?” I add. Faces begin to light up with recognition. I then trace the cow’s features, and nearly everyone sees it. In fact, once students see the cow, they cannot “un-see” it. That’s because our vision results from a series of learned operations in the brain. We don’t see things; we “come to see” them. When we look at black and white in America, what do we see? Conversations about race often rely on what each of us sees or does not see. Are we bound to view things differently based on our racial identity? Or can all of us—regardless of our skin color—“come to see” things as they really are as well as for what they might become? These are the questions of consciousness and imagination. As with many terms that have gained popularity on the internet, woke has since been co-opted by the mainstream. Nevertheless, in its original form, “stay woke” is much more than just a cool hashtag, a clever meme, or a form of virtue-signaling. It is a call for black people to remain vigilant and to take action as if their life depended on it—because it just might. In 2015, unarmed black people were killed by police at five times the rate of white people. The number of those who have fallen to police violence in the last few years only continues to rise, including Stephon Clark who died in a hail of bullets in Sacramento on March 18, 2018. He was holding only a cell phone. Black Panther steps into this context of prejudice and racialized violence against black bodies. In fact, its director, Ryan Coogler, made his motion picture debut with Fruitvale Station, a movie based on the 2009 killing of Oscar Grant by police in Oakland, California—one of the first widely publicized cases of police violence against unarmed black persons. Coogler deftly ties Black Panther to this earlier work by situating its opening scenes back in Oakland. But this time Coogler seeks to raise other forms of black consciousness. While still leaving the plight of African Americans very much on the table, what he celebrates is black elegance, black brilliance, and black royalty, reminiscent of the Black Pride and Black is Beautiful movements of the 1960s and 1970s. As important as this pro-black consciousness is—particularly in America’s current social and political climate—the movie’s script goes on to reveal an even deeper “wokeness,” not so much to systems that oppress black people as to questions of power and privilege within the African diaspora itself. These questions arise from the very source of black pride in the movie—the fictional Wakanda, a powerful African nation hidden from the rest of the world by a virtual rainforest. Magnificently wealthy due to a deposit of vibranium, and technologically advanced beyond compare, much of the film turns on the question of what sort of nation Wakanda should become. Christopher Orr, writing in The Atlantic, highlights three alternative visions of Wakanda that compete with one another throughout the film. The first vision was upheld by Wakandan rulers of the past—that of “an advanced African civilization, thriving in isolation, untouched by war or colonialism.” This isolationist vision was pursued, even when it meant turning a blind eye to the plight of other black people around the world. The third vision is harbored by the movie’s antagonist, Erik Killmonger, a Wakandan of royal descent orphaned in a run-down Oakland neighborhood. Trained in the arts of American warfare, he sees himself as “the vanguard of a global revolution to invert the existing racial order.” His revolutionary vision would use Wakanda’s resources to help black people everywhere rise up against their oppressors. “The world’s going to change, and this time we will be on top,” he declares. Ultimately, it is the engaged vision of T’Challa that prevails. But not without a lot of black soul-searching as to what it means to possess power and privilege in the face of injustice and the suffering of others. This level of consciousness is notable, considering that many white people find it difficult to even acknowledge the systems of power and privilege from which they benefit. While some of Marvel’s white superheroes have wrestled with the responsibility that comes with their powers, Black Panther goes even further in developing these themes, precisely because it approaches them from a marginalized standpoint. 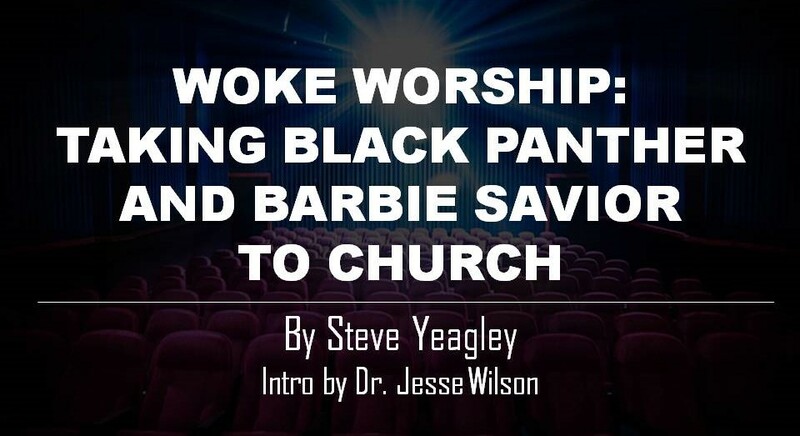 From my own observation of African American worship and the role it has played in shaping black culture, I suggest that Black Panther’s heightened social consciousness may actually be rooted in the historically woke state of black theology and liturgy. The fact that within hours of Black Panther’s release a Wakanda Seventh-day Adventist Church sprang up on Facebook and now boasts over 9,000 members speaks to how deeply this film resonated with the experience of black worshipers. For many African Americans, worship is the place where their social consciousness has been awakened, developed, and sustained. Michael Eric Dyson, in his book Tears We Cannot Stop: A Sermon to White America, says that when setting out to write about America’s original sin of racism, he could turn only to his days as a black preacher and to the form of worship. In fact, he structures his book chapter-by-chapter as a liturgy, beginning with the Call to Worship and ending with a Closing Prayer. If, indeed, black worship has been a place for developing the social consciousness of an oppressed people, it has also been a place of sparking the imagination. Nnedi Okorafor, author of the award-winning Binti trilogy, said that science fiction is all about the question “What if?” It is an especially powerful question, she added, when asked from the perspective of a Nigerian American woman, like herself. That same question drives Black Panther’s narrative. What if there was a nation in Africa untouched by colonialism? What if it was left alone to develop itself and to capitalize on its own resources, rather than having them siphoned off to the West? When Lupita Nyong’o, the Kenyan American actress who played Nakia, was asked about what Black Panther’s celebration of blackness—in all of its futuristic splendor—meant for her, she replied, “It’s so liberating.” Her answer touched on one of the central tenets of Afrofuturism—the liberation of the black imagination. Too often the stories Hollywood studios choose to tell about black people are rooted in pain, in suffering, in injustice. Perhaps you’ve seen them: 12 Years a Slave, Selma, Hidden Figures, The Help and Amistad, to name a few. There may be triumph by the third reel, but the often-historical premise is ‘Look how bad it was.’ Black Panther is about that rare thing—black glory. During a slow scene, I whispered to my friend, ‘I watched 12 Years a Slave but nobody got dressed as a slave for the premiere’…. It struck me that I was so thirsty to see Black Panther because I’ve watched Black people as slaves, criminals or victims since my earliest movie-going. Consider an early example from EC Comics’ 1953 “Judgment Day,” a sci-fi story that confronted racism through an astronaut’s encounter with a segregated planet. Not until the very last panel does the reader learn that the astronaut is a black man: “And inside the ship, the man removed his space helmet and shook his head, and the instrument lights made the beads of perspiration on his dark skin twinkle like distant stars . . .” With a single line, the writer transforms the ebony surface of the man’s skin, which in any other circumstance in the 1950s would have placed limitations on him, into the endless possibilities of deep space and worlds beyond. Afrofuturism not only seeks to liberate the black imagination as a form of empowerment but to release it as a means of healing, as well. Working with the themes of alienation and reclamation, Afrofuturists explore the future as a way to return to the past and recover what has been lost. The boy is us. His upward gaze at the royal family abandoning him is [a] major trope in Black art: We’re an exiled people in search of a home. Jamaican Rasta prayed to leave Babylon and go to Zion. . . . Malcolm X demanded we leave ‘the wilderness of North America’ and get our own land. Afro-Futurists made art that imagined a hi-tech, future home. . . . And now, we have Wakanda, a gleaming, sci-fi African city of Tomorrow. All of it repeats a long-standing, deep mythos that like Erik, we are strangers in a strange land. We want to . . . come home. I’ve lost count of the number of saints who have told me that the [majority culture] spaces they belonged to left them with much doubt as to whether their lives mattered . . .For black Americans, [Black Panther] has been a long-awaited love letter from the people, cultures, and place they’ve longed to be seen and embraced by. It is a movie that concludes by affirming that black American people belong to Africa and that they are no longer a lost people . . . Wakanda depicts a world and a people for them to remember, a world they have largely lost their connection to. Wakanda isn’t a place of sheer fantasy; it is a place of healing where black people can feel and imagine a sense of belonging and affirmation. All of this has theological overtones, especially if you understand how the apocalyptic genre functions. In his book City of Ruins, Dereck Daschke examined the “Zion apocalypses.” These biblical and extra-biblical literary works were written by Jewish exiles who lived in the shadows of the Babylonian and Roman destructions of Jerusalem and who suffered from all of the traumas associated with those violent extractions and erasures of the past. For exactly this reason, national traumas marked by exile, immigration, forced homelessness, and refugee status all immediately create communities where the symbol of the homeland takes on extraordinarily powerful qualities. Even generations later, the idea of the land left behind can remain one of the most salient forces in the culture. In many ways Wakanda serves as a black Zion. Pulling back the rain-forested, cinematic curtain that conceals Wakanda from the rest of the world, the director—who now plays the role of ancient seer—reveals to his viewers in the African diaspora a vision of both their past and future. It is a place where they are no longer alienated and cut off by racism and injustice, but where their true identities and potentials are reclaimed and realized. The liminal and creative space of worship has the capacity to offer this apocalyptic cure. As a borderland between heaven and earth, liturgy offers a symbolic setting in which the past, present, and future can be reimagined from a new vantage point. The lingering effects of past traumas, as well as the ever-present losses that come from living in an inhospitable environment, can be processed through the transfiguring and healing rituals of worship. However, this can only happen if worship is tuned—as black worship has been—to the experiences and longings of its contemporary exilic participants. That brings us to the topic of white consciousness and the white imagination. This dominant frame is pervasive and deeply embedded in American society. Often more subconscious than conscious, it shapes our thinking and acting in everyday situations. It is culturally transmitted through institutions such as schools, churches, and the media and is reinforced by white parents and peers. The white racial frame is made up of two main components. The first is what Feagin called virtuous whiteness. Think of it as a thick coat of moral Teflon. No matter what white people might do or say, no matter how offensive or hurtful their behavior might be to people of color, nothing sticks. White people continue to think of themselves as good and decent persons. Entitlement: White people may feel entitled to what they have without understanding the ongoing injustices that often makes those things possible. Superiority: White people may see European-American “civilization” as the peak of human accomplishment, and assume that people of color should simply adjust and assimilate to it. Ignorance: Consequently, white people may not engage in self-critique or ask what people of color might know that they do not. This results in significant levels of ignorance. Denial: White people also tend to think incorrectly or rarely at all about the devastating effects of systemic racism. This makes it easy to deny the difficulties that people of color experience. Color-Blindness: Finally, knowing that blatant racism is no longer acceptable, many white people retreat into a “color-blind” way of thinking and acting, so as not to have their biases challenged. Consequently, it can be difficult for many of us who are white to talk about race. We simply do not have the self-awareness, vocabulary, conceptual frameworks, or critical distance necessary to think about our own racialized identity in any meaningful way. The whole thing pokes some serious fun at the “white savior complex,” which is built on the white-virtue framing Feagin described. The creators of Barbie Savior, who together have worked over a decade in Uganda, describe the white savior as “the wildly self-centered person veiled as the self-sacrificing saint.” Their caricature is not meant to disparage cross-cultural work but to improve it. While Barbie Savior may use all the latest social media tools, her thinking is anything but new. “The attitude that Africa needs to be saved from itself, by Westerners, can be traced back to colonialism and slavery,” say the blog’s creators. As Teju Cole famously tweeted in response to the “Kony 2012” campaign, “The white savior supports brutal policies in the morning, founds charities in the afternoon, and receives awards in the evening.” This contradiction is made possible by a merging of white superiority and white sentimentality; the latter providing moral cover and psychic relief for the former. White sentimentality is what James Baldwin called “the mask of cruelty.” Whether taking the form of pity, piety, paternalism, or nostalgia, “sentimentality offers an escape from the difficult conclusions that must come from honest scrutiny of social reality.” By retreating into emotional sincerity and idealism, white people not only attempt to conceal racial injustices but shun the commitment and sacrifice required to address them. Out of this sentimentality and lack of social consciousness grows the white imagination. As white people, our way of conceiving and moving into the future has often been filled with primitive peoples and alien bodies to be conquered, exploited, civilized, and assimilated. It is difficult to speak about the white imagination without talking about its colonizing tendencies. In the white imagination we are all being carried along by a giant Carousel of Progress, while Disney’s upbeat lyrics play in the background: “There’s a great, big beautiful tomorrow, shining at the end of every day. There’s a great, big beautiful tomorrow, and tomorrow’s just a dream away.” However, in reality the carousel of American progress has always turned at great expense, fulfilling some dreams while denying others. Buried in the red clay soil of the Congo lies an assortment of the most sought-after metals and minerals on the planet. [They are] valued at a staggering 24 trillion dollars, enough wealth to solve the problem of poverty throughout the world, let alone in Africa, yet the Congolese people are one of the poorest on the planet. This crisis of development does not originate in a lack of initiative on the part of the people . . . It was a condition of colonialism. White colonizers have not only sought to control territories and extract their resources but to inhabit people’s imaginations, as well. This is the project of cultural hegemony. It is an attempt to persuade subordinates to embrace and live within the colonizer’s imagination as if it were their own, even if that vision is not within their best interests. Hegemony is the stuff of empire-building, and it can happen even in the context of churches and their worship. Over the last decade or so, there have been an increasing number of attempts by evangelical megachurches to expand their territory by diversifying their congregations, if not their praise and worship bands. Some have even planted multiracial urban campuses beyond the borders of white suburbia. No doubt, many of these have been good-faith efforts to become more inclusive. But the white imagination being what it is, there has always been the possibility that a colonizing mindset might take over; a risk that white churches might seek black bodies in the pews, but not welcome black minds and imaginations. A 2015 study of multi-racial congregations published in Sociology of Religion found that most multiracial churches, despite their potential to bridge racial differences and promote cross-race relationships, actually leave the white racial frame intact. Such churches, often relying on a “united by faith” message, are more likely to perpetuate an individualist account of racial inequality and less likely to confront the structural elements of racism that are of concern to many Black Americans. 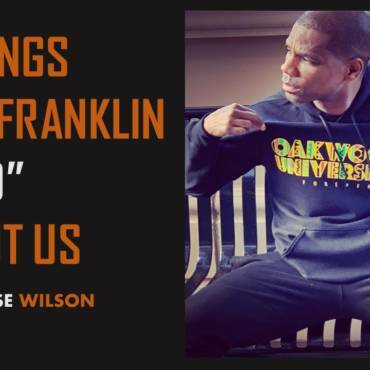 The disjuncture between the liberating imagination of black evangelicals and the colonizing imagination of white evangelicals began to intensify after the events in Ferguson. As the black body count continued to rise across the country, it became apparent that black lives—at least in their totality—did not really matter in predominantly white evangelical congregations. For Christian hip-hop artist Lecrae, it was a wake-up call. Since his debut album in 2004, he had gained a large following in white evangelical circles. However, he eventually realized that success came with conditions. Evangelicals were happy to appropriate his black, urban sound as long as it was promoting a white gospel. But when Lecrae decided to return to his black roots and use that gospel lens to authentically address black concerns, his white fan-base melted away. Concerts that once drew 3000 now saw only a few hundred in attendance. I’m the son of a mother who was, who is very pro-black . . . this is who I was at my core. And then when I became a believer, I guess I was taught—whether consciously or subconsciously—to lay all that aside for Jesus . . . When Michael Brown was murdered, I just assumed that all Christians felt the way that I did—“This is terrible!”—you know? Like, “This is horrible.” So I just put it out there. “Hey guys, isn’t this bad?” And man, you would have thought that I had just said that Jesus wasn’t real . . . The visceral attacks that came my way were like a shock to my system, and it was like an awakening. I will not oblige to your colonized way of faith \ My Messiah died for the world, not just USA… \ They say, “‘Crae, you so divisive, shouldn’t be a Black church” \ I say, “Do the math, segregation started that first!” \ Hey, you want unity? Then read a eulogy \ Kill the power that exists up under you and over me. Lecrae’s departure from white evangelicalism was only the beginning. After the 2016 election, with over 80% of white evangelicals supporting a presidential candidate who had been openly racist during the campaign and into his presidency, the wheels came off the welcome wagon. Black congregants…had already grown uneasy in recent years as they watched their white pastors fail to address police shootings of African-Americans. They heard prayers for Paris, for Brussels, for law enforcement; they heard that one should keep one’s eyes on the kingdom, that the church was colorblind, and that talk of racial injustice was divisive, not a matter of the gospel. It said, to me, that something is profoundly wrong at the heart of the white church,” said Chanequa Walker-Barnes, a professor of practical theology. “We were willing to give up our preferred worship style for the chance to really try to live this vision of beloved community with a diverse group of people. That didn’t work. She ended up leaving the white-majority church where she had been on staff. According to Brueggemann, the royal consciousness, as it appears in Scripture, is marked by affluence (focusing on consumption rather than covenant justice), oppressive social policy (establishing hierarchies that silence poor and marginalized groups), and static religion (opposing God’s essential freedom in lieu of religious structures controlled by those in power). As dominant institutions, mostly white churches are particularly prone to adopting this sort of status-quo consciousness, with the result of limiting God’s opportunities to challenge and change the church. Alternatively, Brueggemann said that the prophetic imagination “is capable of enabling us to live inside God’s imagination.” This implies opening ourselves up to a future beyond our control, subject to the immeasurable excess and freedom of the divine imagination (Ephesians 3:20). That imagination called upon slaves and pregnant women to topple the privileged and powerful. It compelled Jesus to stand up in the midst of the synagogue and announce good news for the poor, freedom for the prisoners and the oppressed, and recovery of sight for the blind (Luke 4:16-21). Living within God’s imagination requires us to surrender our institutionalized notions of who God is and how He operates, and open our lives to the disruptive “new thing” He wants to accomplish in and among us (Isaiah 43:19-21). How might this prophetic imagination be exercised within the context of the white racial frame and predominantly white worship? Here are a few suggestions for worship leaders, with help from blogger Brandi Miller. To begin, it may be appropriate to step back and realize that not all racial problems can be fixed simply by coming together—even in worship. Of course, there is a lot to be gained by developing cross-race relationships. But if white believers are not willing to work on their own racial identity development (becoming aware of their role in a racist society and taking responsibility to dismantle it), any attempt at integration is going to eventually deteriorate. So my first suggestion would be to educate yourself. De-colonize your mind. Engage with books, documentaries, black film, music, and art. Get into spaces where you are learning from people who come from historically marginalized perspectives, in order to challenge dominant ways of thinking. Attend lectures, concerts, and churches where you can be under the tutelage of someone who is not white and male. Second, close the empathy gap. All of that knowledge will be but a clanging cymbal, if you don’t really care for others. Learn to empathize with those whose experiences differ widely from our own. Acknowledge that every person’s story is valid and worthy of your attention. The incarnational pattern of the gospel should be a signal to Christians that the only way to love someone else is to identify deeply with them in their context and on their terms. Fourth, empty yourself. This is how Jesus handled His own divine privilege. He “emptied Himself, taking the form of a servant” (Philippians 2:10). The call to imitate Christ’s self-emptying is particularly important for white Christians who wish to engage in the work of racial healing. While you may not be able to prevent the racializing of your identity, you can choose to deconstruct it by taking radical steps that demonstrate you value people of color above yourself and that you are looking to their interests over your own (Philippians 2:3-4). Fifth, break the silence. The silence of white Christians has been deafening and, to a large extent, is responsible for the lack of racial healing in the church today. To be clear, engaging in the race conversation does not mean speaking for black people. 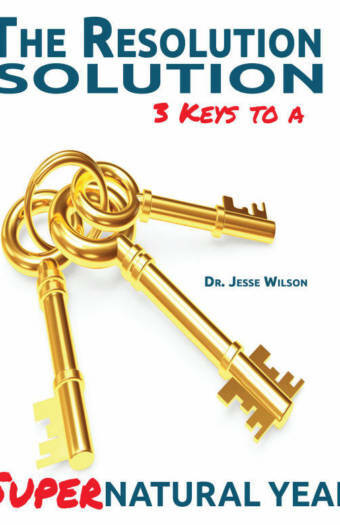 Rather, it entails speaking frankly as a white person about the invention of the white race in America, about the role white Christianity has played in the history of racial oppression, about the ongoing injustices perpetuated within America’s white racial frame, and about practical, gospel-infused steps white Christians can take to address those wrongs. Sixth, tell many stories. Does your worship service perpetuate limited or limiting narratives about people of color? In “The Danger of a Single Story,” novelist Chimamanda Adichie told her TED audience, “Stories matter. Many stories matter. Stories have been used to dispossess and to malign, but stories can also be used to empower and to humanize. Stories can break the dignity of a people, but stories can also repair that broken dignity.” The imaginative space of worship must be populated by many voices and many stories if our churches are to become a “house of prayer for all people” (Isaiah 56:7). Finally, take action. Wokeness without works is dead. Miller observes, “Activism is the external work of transforming or overthrowing the systems we critique. It is one thing to be woke in your mind and online, but another thing completely to fight for justice in your everyday life, neighborhood, and relationships.” Our worship services may be diverse and aware on every level, but if as individuals and a congregation we are not stepping up to interrupt the injustices that exist in our communities, then our worship has fallen short of the mark, as the prophets would surely attest (Isaiah 58:2-10; Amos 5:21-24). It is my prayer that, as more predominantly white congregations do the work of becoming educated, empathetic, self-aware, humble, outspoken and active, God will open up a more racially just church and future for us all.